Everyone’s got a lot on their mind. Try to create one less thing to worry about with a little organization in the home. Trust us, it’s not so hard. Starting to get organized may take a little while, but much like how bad habits are reinforced with time, so are the good ones. Make it a routine. Dedicate fifteen or twenty minutes each day to putting things in their place. And things that don’t have a place? Get one! At Contempo Closet, we’d be more than happy to help you with that part. 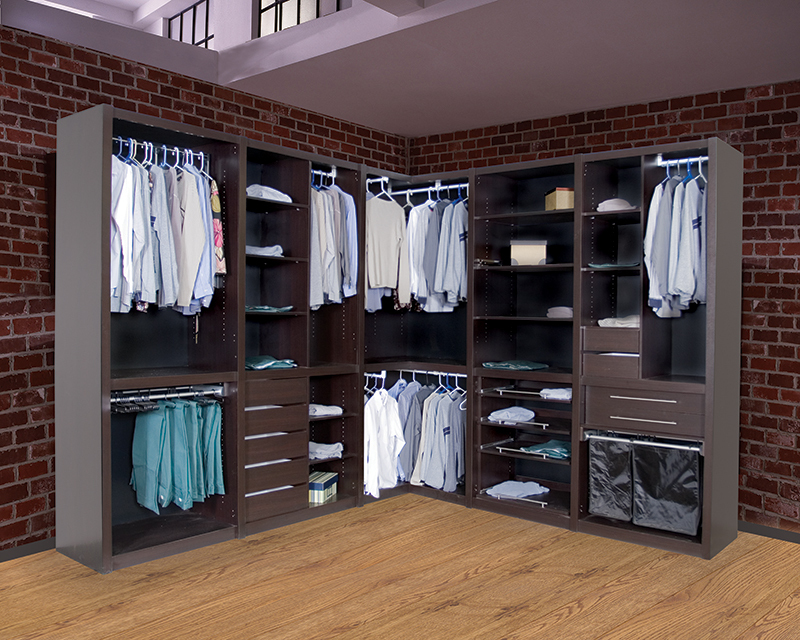 Our expert design consultants can help design the custom closet you need to maximize your space and storage capacity and keep your home organized. Give us a call or visit our show room to learn more about all the ways we can help you organize space. You’ll be astonished how much faster you get out the door in the morning and how much less hectic your day will feel with a little bit of organization around the home. When you know where to find things, you don’t waste so much time looking for them, and you’ll feel better about yourself and your living space. This entry was posted in Closet, Organization, Storage and tagged built-in closet, Closet, custom closet, home improvement, organize, storage, walk-in closet. Bookmark the permalink. Okay well a description of my slcoet is as goes.One side is his and one side is hers . Her side starts on the left, all the clothing items are organized first by fancy, then semi-fancy, then casual and by color darkest to lightest. Everything on the left side is long, starting with long dresses, short dresses, skirts, pants, and tops. All organized according to the above. His Is still organized by the over rules..(fancy, semi-fancy, casual and darkest to lightest)On his left side starts with tops, then pants, then into his work pants, then work tops, then work coveralls.Shoes have a rack under each of our sections and the are organized the same way only the fancy ones are put into a large container that we slide under our bed.Now all this will change because we will be expanding our slcoet soon but thats how it is now.Hope this helped! My wife and I have a fairly large walk in oecslt. I installed several additional wire shelves and some robe hooks to maximize it’s size. Clothing I can wear a 2nd time is hung on hangars on robe hooks. Sweaters, sweats, pajamas and fold-able items are stacked on the shelves. Shirts and blouses are separated but hung on a lower rod than dresses and pants. I use jean hangers for Levis and shoe rack for shoes, his & hers. We never hang worn clothing beside freshly laundered and dry cleaning bags are hung on the wall.